While I'm stuck inside, let me share a few beauty deals for the holidays! SIGMA has the CUTEST pink brush rolls (a complete kit with 12 brushes + a bonus brush) for only $79. This is a FANTASTIC deal you can't beat if you are looking for a complete makeup brush set for a special woman in your life. This deal is only for the holiday's so get them now while they are $20 less than normal price! Go to: http://www.sigmabeauty.com/?Click=202 to take advantage of this fabulous deal!! That makes each Tassi only $10. 04 ..this is a GREAT stocking stuffer or holiday gift for any woman. These make washing your face mess free!! 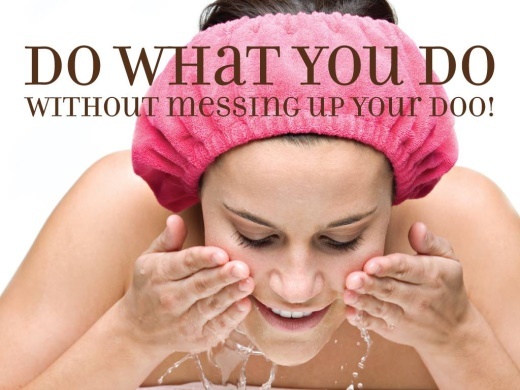 No more getting your hair or bangs wet when you wash your face! If you buy 2 or more you also get free shipping!! The SAK is offering free shipping on orders over $50. Plus go to http://www.thesak.com/yourstruly/sakcanvas.html , create and receive $10 off your purchase.